I modified this recipe from a blog I like to follow kalynskitchen.com I add sautéed garlic or garlic powder and instead of Spike seasoning, I use a variety of different seasonings, usually some blend that I have in my spice cabinet. I usually use two sliced avocados instead of one and mozzarella and Parmesan cheeses. I have become a little obsessed with avocados recently and I’m always looking for new ways to use them so, I was eager to try this new dish. I still think it could use a little tweaking, but it’s a simple dish and my two year old, Andrew loves it! 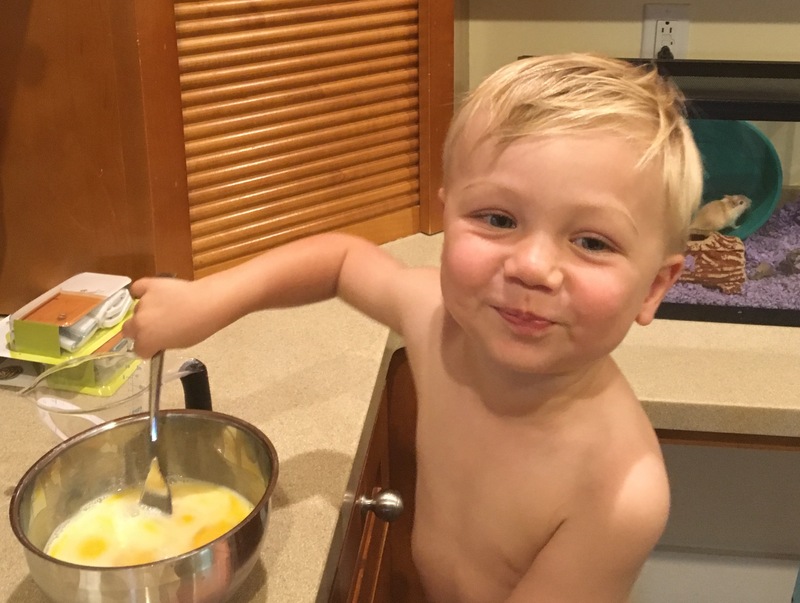 Drew helping to whip up some eggs (seven to be exact, as he cracked one on the counter). Shirt optional in this kitchen. 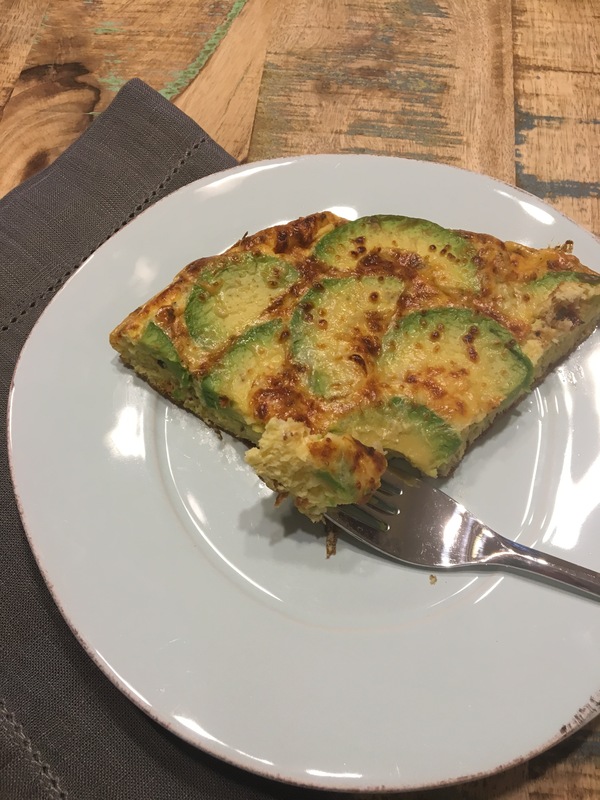 2 oz crumbled Cotija cheese 1/2 cup grated Mozzarella 1/4 cup green onion, sliced 8 eggs, well beaten 2 Tbsp milk 2 tsp olive oil 1/2 tsp Spike seasoning Fresh ground black pepper TT 1 large avocado, sliced Measure Cotija cheese. Grate mozzarella. Slice green onion. Beat eggs with milk until combined. Heat oil in heavy oven-proof pan over medium-low heat. When pan is hot, add eggs, seasoning and pepper. Allow eggs to cook about 2 minutes, just until starting to look cooked on edges. Add grated mozzarella and green onion and cook about 5 minutes more, until eggs look like they are cooked about half-way through. Meanwhile, slice avocado. Once eggs are cooked half-way, lay sliced avocado over egg mixture and sprinkle with Cotija cheese. Cover pan with lid and cook about 3 minutes more, or until the eggs look like they are nearly cooked through and the Cotija is starting to melt. Remove lid and place pan under broiler for about 2 minutes or until eggs are firm and cheese is melted and nicely browned. Prescription from a professional: healthy fats found in fatty fish (salmon, albacore tuna, sardines, trout and mackerel), nuts, seeds, avocado, eggs and peanut butter provide health benefits such as lowering cholesterol, thus decreasing risk of heart disease. 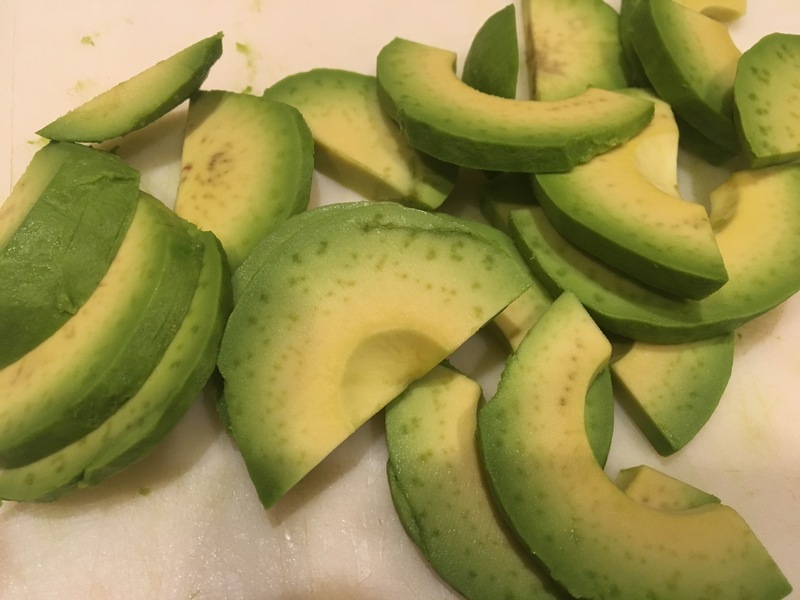 Try adding sliced avocado to tacos or soups. Add walnuts to a salad, flaxseed to oatmeal and try to eat fish at least twice a week. *something you may not know: avocados contain folate, important for preventing neural tube defects during pregnancy, vitamins C and E, antioxidants which help protect damage of cells that can lead to diseases such as cancer, potassium that helps muscles contract and maintains normal blood pressure among other things. If you feel overwhelmed by all the nutrition advice, calorie recommendations and diet trends, read these: Fact. Not Fad., Let’s Crunch Numbers!, Help Me To Help You!